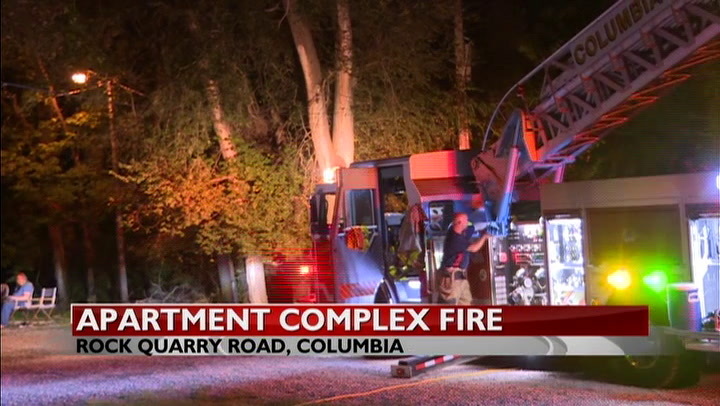 COLUMBIA - No one is injured after an apartment building caught fire Saturday night. Firefighters responded to a single story, four-unit apartment building on the 2300 Block of Rock Quarry Road shortly after 7 o'clock Saturday evening. The property manager told KOMU 8 News he discovered the fire after smelling smoke when a fire alarm sounded. The fire was under control as of 7:30. No one was injured in the incident. Crews restricted traffic on Rock Quarry Road to one lane. KOMU 8's reporter on the scene observed traffic backed up to Grindstone Pkwy. The road was back open to normal traffic by 7:50.